No, it’s not me. It’s Charles Bukowkski. Why am I sharing his picture? Only because I want to remind myself why I show up here and will continue to do so, in the same way that he wrote all his life. Yes, that’s how I see things; namely, as long as I can afford to maintain the hosting and domain, I intend to show up and write something. At the moment, as I said yesterday on Patreon, I need to work out what I’m going to write about on my blog (and Patreon and Tumblr) but I’ve a fairly good inclination what that might be. As to timing etc., I’d like to think I can write a weekly essay, but I don’t want to commit to something that might (in time) take me away from my main focus now: writing; or to be more precise, writing with a view to becoming a full-time writer and poet. I accept that this looks very unfocused and certainly not in keeping with the usual ‘buy me’ brand of blogs that most people create but that’s how I see things. Also, if things work out as I expect, I can use my blog as a showcase and platform to sell my work. PS. 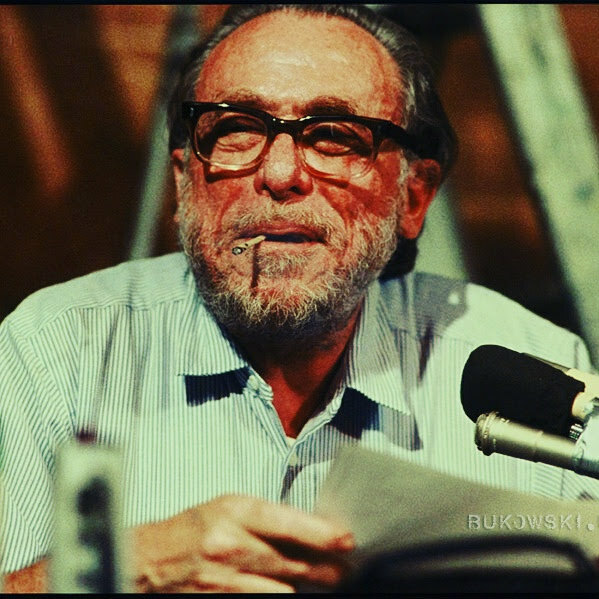 Here’s a poem of ‘Buk’ that you might like.